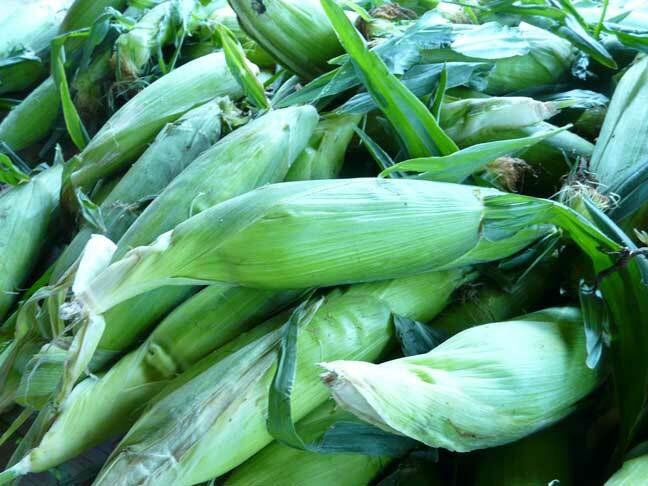 5 July 2008 - Sweet Corn should have bright green shucks, like above, with tassels (or silks) brown and at the top. It should feel firm and fill-out. The shucks form a wonderful natural wrapping that keep the moisture in as well as the freshness.